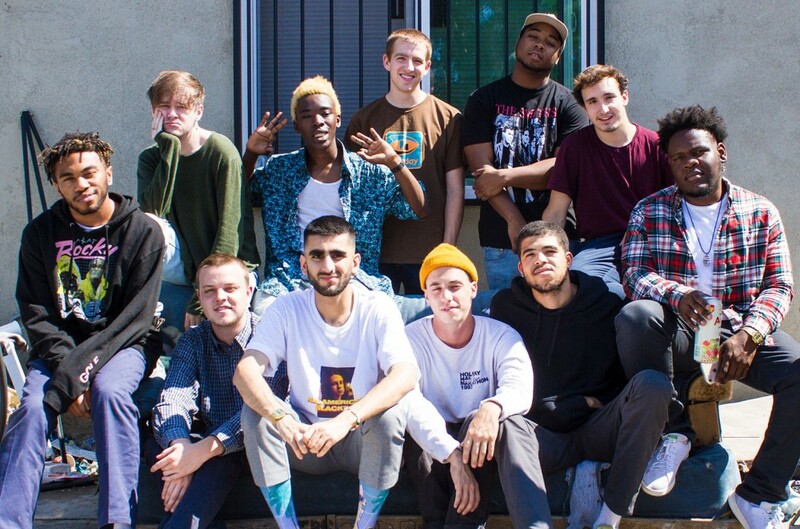 BROCKHAMPTON's de-facto leader, Kevin Abstract, took to Twitter on Thursday (July 5) to announce the group's new radio show on Apple 1, Things We Lost In The Fire Radio. A second clip was released immediately after on Abstract's prile that featured a video the hip-hop boy-band members gliding back and forth on giant swings inside a venue while an iconic quote from comedian Dave Chappelle's appearance on Inside the Actor's Studio is blasted throughout the arena, overlaid with the same text as the original announcement. BROCKHAMPTON's upcoming album, The Best Years Our Lives, was recently announced by Jimmy Fallon shortly before their late night debut on his show.